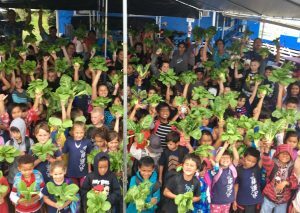 Harvest Day at Na Wai Ola Public Charter Schools. Photo courtesy of E Ola Pono Campaign. Na Wai Ola Public Charter School in Mountain View made first place in the elementary division for the 10th Annual E Ola Pono Campaign. The statewide campaign encourages youth to promote peace, pono and respect in their schools and communities through student-led campaigns. 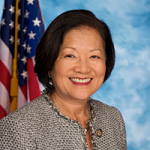 Na Wai Ola will receive a $1,000 cash award, made possible by donations from the Johnson Ohana Charitable Foundation. 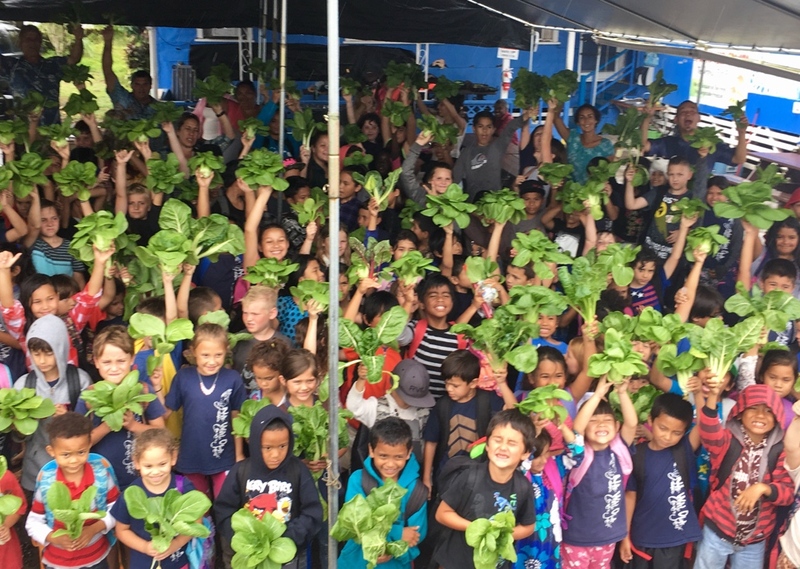 Students at Na Wai Ola were recognized for their work in the māla (garden) program, which teaches youth to grow food, medicines and plants with aloha and respect. 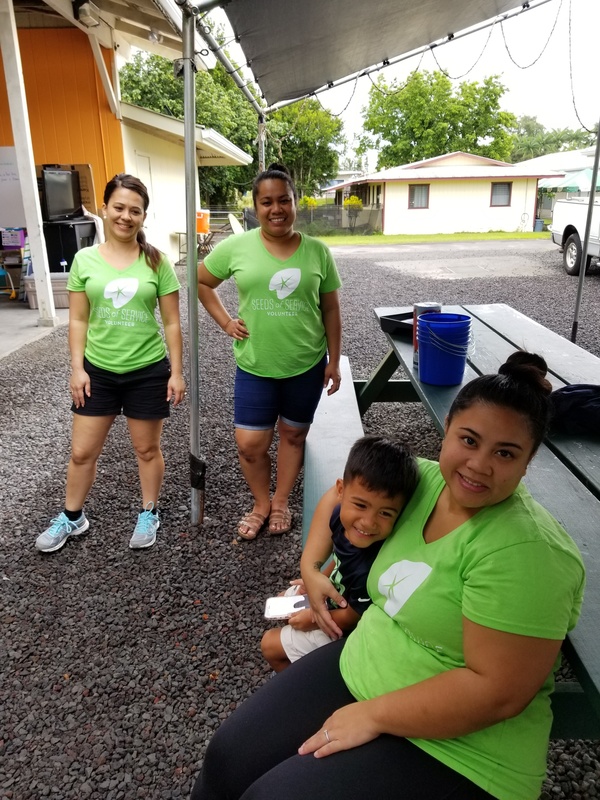 Shari Frias, agricultural science teacher and advisor for the students’ pono campaign, observed that students who have been at the school for a few years have a strong personal connection and understanding of their māla, the environment and themselves. Six schools statewide at the elementary, intermediate and high school levels were selected to win the annual campaign. The E Ola Pono Campaign was held during the first three quarters of the school year, August 2016 through March 3, 2017.